Nowhere for Christmas was originally published in 2013. It was a good year. My debut novel was published that year, as were two novellas, two additional novels, and a short story. The thing is, I didn’t know a lot about writing yet. Or publishing. So none of those books/stories published that year were written in what writers refer to as Deep POV where we try to pull the reader more effectively into the mind of the character(s). I still sometimes (um…maybe “often” is a more accurate word…) apologize to people when they tell me they’ve read one of those early books. But…the publishing rights to Nowhere for Christmas were returned to me last year, and I was able to update and edit the book and put it into a box set. Now it’s ready to re-release as a solo title on April 10th. I’m excited. I love the story and the characters. And now I feel like the writing does them justice better than it did before. Here’s to hoping that’s true! I know. April’s an odd month to release a Christmas book. That’s just how it turned out. April wasn’t my original plan. I can roll with it, though. I’ll give you the back cover blurb and then an excerpt so you can check the book out. Be sure to scroll down, though. There’s a giveaway listed at the bottom. Let the road trip begin. Avery Weston is a journalist and mom to teenager Eli. Gavin Eastly is an enigmatic photographer. A botched schedule lands them all in a rental car for Christmas. With everything that goes wrong, it’ll take a miracle to get them anywhere. But miracles come in surprising packages – like a bait shop owner moonlighting as a mechanic and a deputy whose family can’t agree on how to remove a skunk’s stink. It’s the perfect recipe for romance. Join Avery, Eli, and Gavin as they learn that reaching the destination doesn’t mean the journey’s over. God has so much more in store for them. After all—anything can happen on the road to Nowhere. A large stone dropped into her stomach with a loud kplunk. Gavin Eastly had once been a rising star in photojournalism. He’d fallen off the radar a couple years back and had only recently started working again. The fact that he was doing work for the Albuquerque Times spoke to how far from grace he’d fallen. There was a story there. She could smell it. When someone as good at their job as he’d been, though, disappeared as suddenly as he had, the assumption tended to be a stint in rehab or a behavioral health hospital. Maybe both. Her editor watched her but didn’t speak. It was her turn to cross her arms and stare. Eyebrows raised, Avery rose to shut the door then pulled her chair closer to the desk so she didn’t miss anything. Avery breezed out of Mitchell’s office and resisted the urge to take a backward peek. She’d left him guessing, something she couldn’t often accomplish with her boss. He hadn’t been able to hide his surprise or suspicion, though, and she reveled in that. 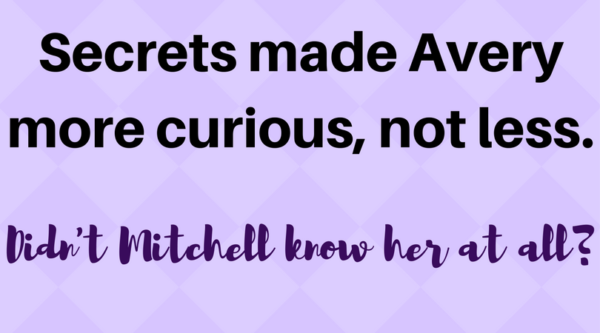 As for the rest, she would drop her questions about Gavin when purple monkeys started dancing on the hood of the rental car Mitchell had reserved. You can read another excerpt here if you’d like. Now it’s time for a giveaway! The winner will receive a $5 Amazon gift card. 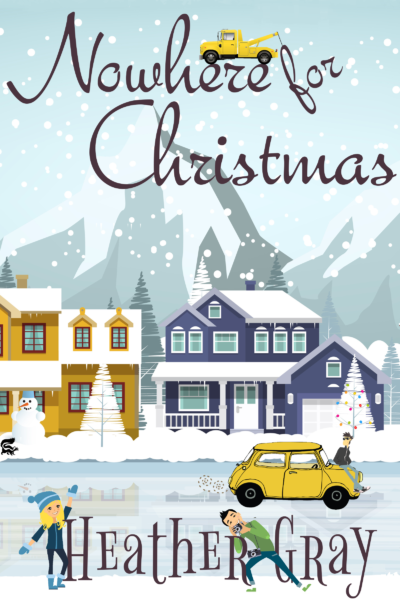 In Nowhere for Christmas, the main characters are on a road trip to the teeny tiny town of Nowhere, Oklahoma. To enter the giveaway, comment below and tell me about the strangest or most unique town name you’ve seen. Or, if you can’t think of any oddly named towns, tell me about a road trip you’ve been on. A WINNER HAS BEEN SELECTED AND NOTIFIED. Loved the excerpts! I’m ready for Christmas in April. I understand losing a child and the creativity it can bring along with a deeper understanding of God’s love and presence even in the darkest spaces. And the new beginnings with the ‘new normal’. Hi Heather, thanks for sharing:) Funniest/oddest named town- we have loads here in Australia: Nowhere Else (on the Eyre Peninsula), Bing Bong, Broke and Dum Dum to name just a few. While researching where to stay on the Outer Banks I ran across a town called “Last Chance”. The name struct me as a great place for a book. Christmas in April doesn’t sound so far fetched here in upstate Vermont. Winter storm Stella dropped over 30 inches of snow and yesterday we received another 6 inches. Thanks for sharing your new release with us, it looks great! There are a few interesting names in Upstate NY thought mostly indigenous names (that I can hardly spell) that always get my attention. One of the oddest thing to me was how names changed abruptly as we’d drive to a town name Taughannock next to the Village of Hercules and Ulysses. They seemed so out of place. Maybe not since they were all between rivers Cayuga and Seneca. So a mixture of ancient literature and indigenous cultures. Oh I love that. Did your friend who liked to whistle go to your church? He might really enjoy the random Christmas songs throughout the year. And it took me a few years to appreciate a white Christmas. I ended up not even being in the mood for decorating and baking cookies in the first couple of years. I still like the warm weather Christmas better, but then I din’t actually learn to appreciate snow much. Ever hear of Husband, PA…wondering if they have wife and kid’s hidden in the burbs ;) This storyline looks great! How fun would it be to go on a road trip w a teen (not, been there done that) and add the random mystery guy in the mix! Oh, this should be great! Cant’ wait to check it out…yeah, Christmas in April…ah…who care’s…where there’s a great book no one care’s the season within! :) Best wishes on the growing of this book baby! I think Scrooby, England where the Pilgrims came from is strange. My grandfather came from Buckfastleigh and my grandmother from Stalybridge. English names are SO fun! And, unfortunately, we Americans tend to butcher them. I studied medieval literature in college – mostly English lit – and it seemed like every single one of my professors had to give us a tutorial on the proper way to say certain names – both for towns and for characters. Like Gloucester is pronounced “Gloster” and Dartmouth is pronounced “Dartmth” (or “Dartmuth” if you can’t stand to not have vowel there). I’ve written a couple of regency romances, and I had a lot of fun studying the map of England as I looked for places for my characters to visit and for events to unfold. I have family that lives in a small town called Pleasureville. It’s not incredibly unique or odd, but I still think it’s a great name. We live about 25-30 miles from a little town (really it’s just a tiny little thing) named Tarzan, TX. BTW….I love your book Nowhere For Christmas! It’s just so funny and a great story! Tarzan, TX – That’s LOL good. I’ll have to remember that one. And thank you – I’m really glad you enjoyed Nowhere for Christmas! I live in WV and I always thought the community of Droop was funny, as it’s on the top of a mountain and when I think of droop I think sagging. Just tickles me. Congrats Heather on your single release. A fun read. Read it in the box set. Not really ready for Christmas in April. Received my fill of reading Christmas stories from October to January. So many great boxed sets = 100 novellas all together. While there are many Valentine stories. Which there were some for Easter and spring. Living in Michigan. I have been to both HELL (town in the lower peninsula) and PARADISE (a town in the upper peninsula). We have many towns named after famous Indians or Indian tribes and French named towns. We even have CHRISTMAS, Michigan (in the UP). Being retired we enjoy back road trips and often wonder how certain towns received their names. Wish we had Spring and Easter, Mother’s Day, etc. stories. Mother’s Day would be an interesting set. For that to work in romance, the heroines would likely need to be single moms. Thanks for sharing the excerpt. I so enjoy reading your stories and look forward to this one as well. Thank you so much Julianne! We writers don’t need people to fawn over us or anything like that, but a simple “I read your book and liked it” sure does go a long way toward encouraging our hearts. Have a marvelous weekend! Our worst/best road trip was in an old car with no air conditioning,in the summer, heading down 95 to Georgia. We had a toddler and two preteens at the time. We sat in traffic forever while road repairs were being done. We finally stopped for the night thinking it would be better the next morning. It was not. So…..we gave up on the direct route down 95 and headed into the mountains. The scenery was gorgeous. It was so much cooler and we got the best peaches from a road side stand! My dad is from eastern Kentucky and there are a a few unusual names in that area but one of the best is Totz. Yes, it is really spelled with a z. There’s also an area called Crummies Meadow that used to be known as Crummies Creek. I’m not really sure how that change happened. Congrats on your release!! I’m sitting here trying to think of odd names and do you think any could come to mind? Of course not. But I do remember going to my grandmothers house when I was growing up and we passed a town called Florida. We live in central NY so you can see why this made us chuckle. If only Florida were so close!! I wonder if the snowbirds went to Florida, NY during the summer and the other Florida during the winter? ^_^ Thanks for visiting today!! We have a town in Missouri called Peculiar. I’m sure people make fun of their name. There’s a town in Iowa called Tenville. But they have more like 12 people now! Haha! Hahahaha! I wonder if they’ll change their name to Dozenville? ^_^ And Peculiar…I’m sure there’s a story there somewhere! Loved Nowhere for Christmas! Congrats on the re-release. I remember reading this story and loving it. There were some very interesting moments and suspense. 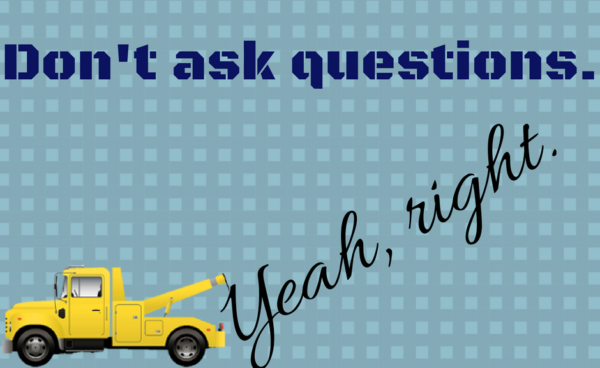 Avery sure has a lot of questions doesn’t she? I live in England and there so many villages with odd names here. Ugley, Hately, Pickling, Soggy Bottom Little Snoring… Those are just a few in our area! LOL, the old version of Nowhere for Christmas is on my KIndle, still in my TBR list. One of the first Chirstian romance ebooks I bought, actually! A few years ago we went on a road trip from Texas to Wyoming. As soon as we crossed the border into New Mexico, I started sneezing and I did not stop until we crossed the Colorado border. It was horrible! I dreaded the return trip, but thank goodness it rained the entire time, so that helped a little bit. I guess you could say I’m allergic to New Mexico, lol! Mom used to pack us up in the car and head off w/us in tow to visit her Grandma, my great grandma. Along the way we always passed an exit for “Noodle Dome Rd”. She always said she wanted to take that exit someday, just to see where it led. 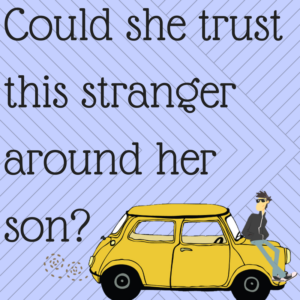 She was always in too much of a hurry to get to Grandma’s–she never did explore that exit. I don’t travel that highway anymore, so I have no idea if that exit is still marked or if that road still exists. But what a thoroughly intriguing mystery that road name is. What exactly is a Noodle Dome anyway? When I first read Nowhere for Christmas it was in July. I loved the book. I laughed so hard at the situations that happened in the rental car. I loved the creativity with the writing. This book has continued to be one that I really loved reading. With all the books I read, Some tend to be forgotten with time but this one still remains fresh on my mind. Living in the Appalachian mountains I have seen many unusual name for streets, mountains and towns. One such is Chunky Gal the name of a mountain that is also what the locals call the area. Then there is a street named Bugskuffle that is going to be the name of a tiny town in my wip. Oh, oh, oh, oh, oh. Chunky Gal, huh? I’m not sure I want to know how that town got its name. ;) Bugskuffle is a hoot for sure – I’m glad it’s going into your wip! On my way to CT, just after my mom had passed last July… I went past a town (or maybe a road) called…. PROMISE LAND!! That’s awesome Becky! Don’t you love how God works those things out? Just when we need a little bit of a reminder of God’s promises to us, there it is. We were looking for the land my Greatgreatgrandfather used to own in west Tennessee and came upon a road called Frogjump-Brazil Road. It runs between two now disappeared towns, one of which was Frogjump. I love that – Paradise and Eden! As it happens, I’ve been to Surprise, Arizona several times. It’s not really much of a surprise, really. It’s just a part of the Phoenix metro area. I lived in Arizona for many years, and I have to admit – I never thought to question the name Surprise. I suppose when you’re used to something, it can become easy to miss the wonder of it. Hm… I think there’s a lesson in there somewhere. One time I was on a road trip with 3 other friends to Tennessee, and we went through a small town with a sign that said, “Only, Tennessee Population 2”. There was 1 building there and it was a small Post Office, and I *think* there might have been a small house somewhere around there. It’s hard to remember, this was way back in the 70’s! We have a town here in Oregon named: Boring, Oregon. Intriguing start to a book. Definitely grabs your attention. Yay! I always go for a good start! (And hopefully a good middle and end, too!) ^_^ Thanks for stopping by today Rachael. Thanks for sharing the excerpt. Sounds like a fun book. So glad you could stop by today Merrillee – thank you!! What great names! Thanks for sharing Heidi!! I enjoyed this story. About October, I search for all the stories in both my Kindle & book apps for reading. Some are new; some are re-reads. This was a fun story. I don’t mind Christmas stories in April. And I can’t remember any funny town names. But I did take a three week road trip cross country with my brother and cousin in the 70’s. That was a fun time. Driving through Paradise, Nova Scotia always makes me smile (while NS is a beautiful province, Paradise is a “sneeze & you’ll miss it” small town). However, the most unique place name I ever saw was “Truth or Consequences”, New Mexico on one of our road trips from Michigan to Mexico. Oooh! Both of those are great names, but Truth or Consequence makes my imagination run wild! I’ll have to check that one out on a map… Thank you for sharing!! Missouri has some great names! Licking, Tightwad, Bland, and Peculiar are all towns in my state! I like my town–Lodi, CA! Like the song, “Stuck in Lodi Again” by Credence Clearwater Revival!! Love all the yellow on the book cover! Yellow is my favorite color!! So, basically, your town’s famous!!! ^_^ And thank you! 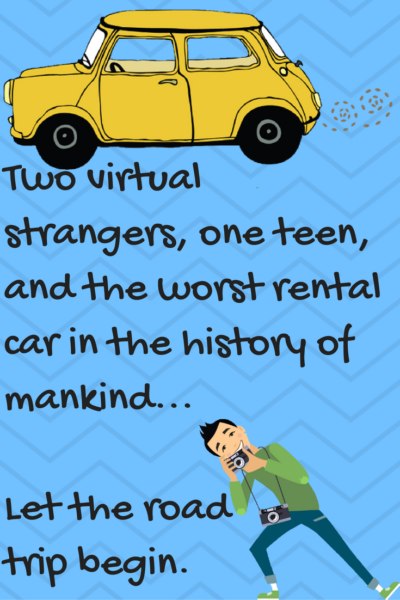 A friend helped me put this book cover together, and I was pulling for a different color of tow truck, but she said that with a yellow car and a yellow house, I really needed a yellow tow truck to pull it all together – and she was right! This story sounds like it’s going to be a laugh a minute! I’m not good at remembering towns either and the only road trip I can remember is my honeymoon. My husband and I got the crazy idea to criss cross Oregon looking for covered bridges. We found quite a few, but soon tired of all that driving and wound up along the coast in southern Oregon before heading back up north that direction. lol, we should have, but since we would up in southern Oregon, we got to see lot of the coast. How about Mayberry, North Carolina? I just love the Andy Griffith Show! Actually my husband is from Gordo, Alabama. His nickname at his job was Gordoslim which is an oxymoron. Gordo means fat! Ha! I have some friends who moved last July. My son and I went to visit them in August. The name of their street is Mulberry. We were at dinner one evening, and I said, “Every time I think of your address, I want to whistle the theme to the Andy Griffith Show.” The wife agreed with me. The husband looked at us both like we were nuts. “You know that’s Mayberry and not Mulberry, right?” Talk about funny!